There is always something magical and exciting about sunrises. The light itself is so energizing. I really thought we would have had the place to ourself. Instead, we shared it with a Halloween themed marathon and students sipping coffee while catching the sunrise in the mild 60 degrees. Oh, and even a club of seniors swimming. Despina and Nicholas will get married on New Year’s Eve and we set out to create a collection of pictures that would be very different from their wedding in the winter. 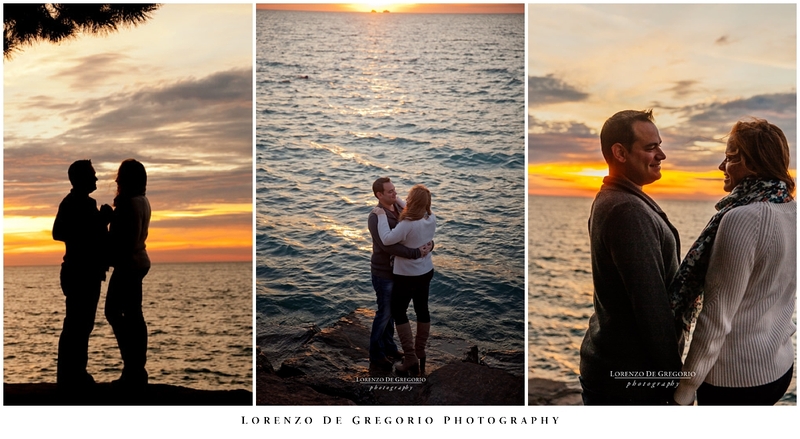 We picked Promontory Point in Burnham Park to catch the sunrise on the lake and because of the beautiful skyline. I love how the camera can be used to create a landscape that does not a exist in reality but does exist in our own imagery. Before a session, I always work around ideas to create images that I didn’t take before. I love to put the couples in the contest of the day pulling together all the elements I have. Blending the warm light of the sunrise and the cold palette of the water, the lovers, and Chicago in the distance. Or the marathon runners above, burnt by the light rising at the horizon. One of the things I like about sunrise sessions is that the streets are empty. With no traffic, we drove downtown to Lasalle bridge, fast as celebrities. Despina and Nicholas are also big fans of Blackhawks, so on our way out, we made a quick stop at the United Center. 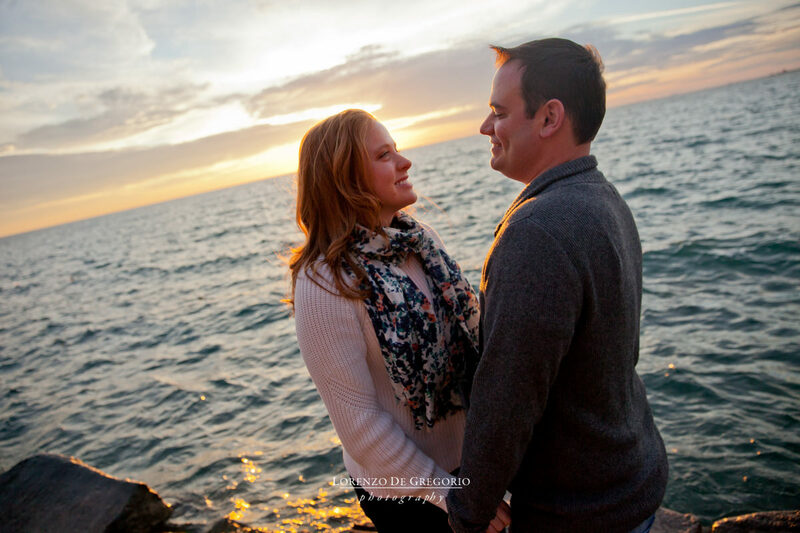 If you are planning your engagement in Chicago and you are curious to see more pictures from my previous sessions, make sure to follow this link. Don’t forget to leave a comment and if you want to reach out, contact me here.